The premium version of the plugin gives you the possibility to export directly from your store a set of users for your MailChimp list. 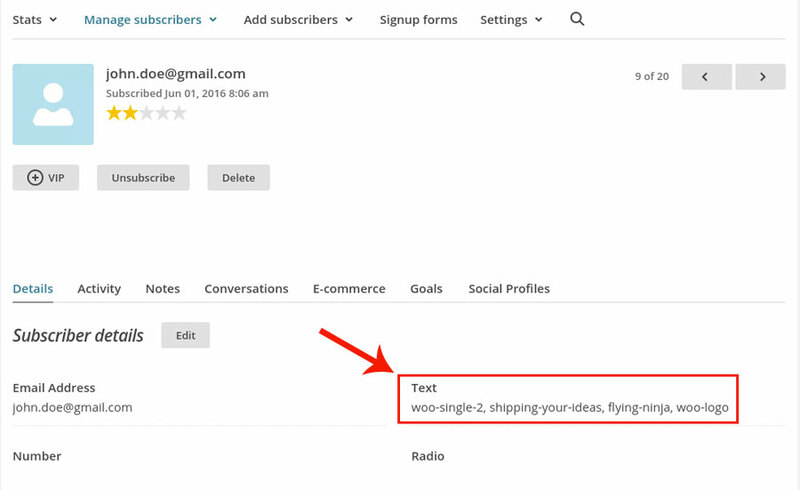 You can export automatically to your MailChimp account or manually on CSV file. Let’s analyse each option in detail to understand how they work. 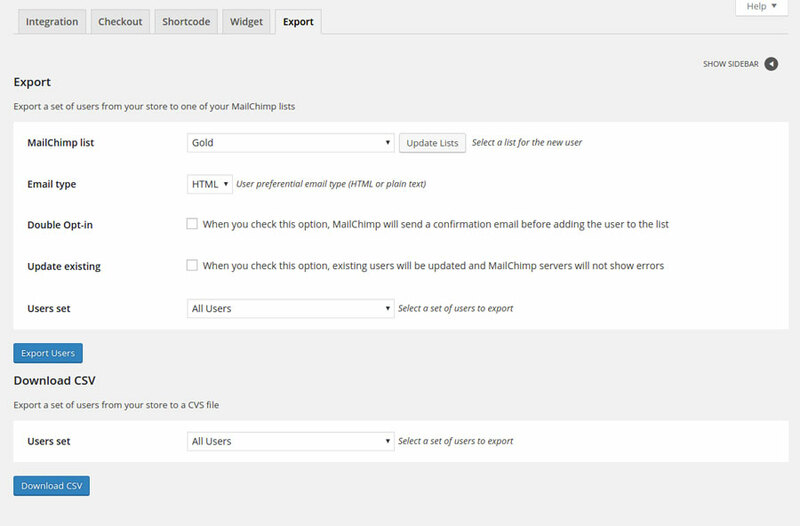 MailChimp list: MailChimp list to which you want to export the list of users coming from your store. Email type: type of email generated by MailChimp that will be sent each user imported from your store. Double Opt-in: each user will receive a notification email, in which they will confirm their subscription to the newsletter. Update existing: if users are already registered to MailChimp list, their profiles will be updated. you can filter users by product, category, tag of the purchased products or order completion date. in order to import in the correct way. Thanks to the compatibility with YITH Woocommerce Waiting List, you can export, among the users, also those who requested to be notified when the product they showed interest in will be available again. 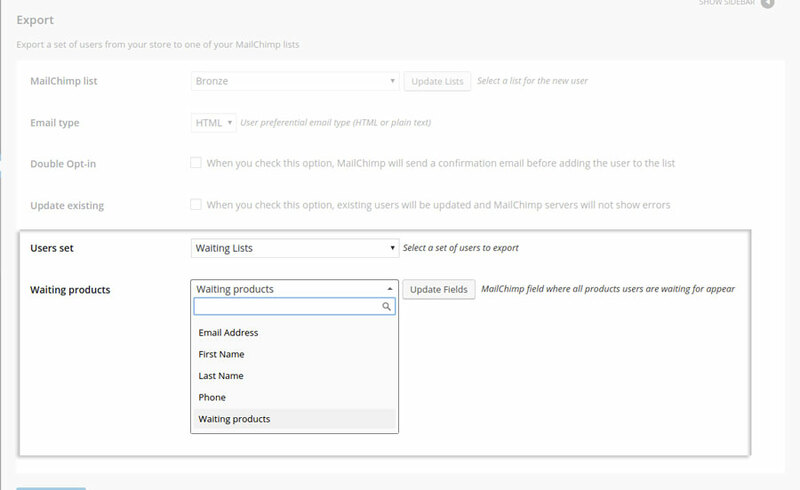 In order to do it, select “Waiting List” in “Users Set” and choose the MailChimp field where the wishlist will be saved.